The Krishna Upanishad belogns to the Atharvaveda. As the name suggests deals with the incarnation of Lord Krishna. It deals with the virtues, qualities, objects and spiritual practices associated with the incarnation of Lord Krishna and explains the significance of his incarnation. In the beginning of the Upanishad, we are told how the gopis became attached to Lord Krishna. They were sages who were overwhelmed by the beauty of Rama and wanted to embrace him. Rama told them that they would get their wish fulfilled when they would be born as gopis and enjoy the company of Krishna. 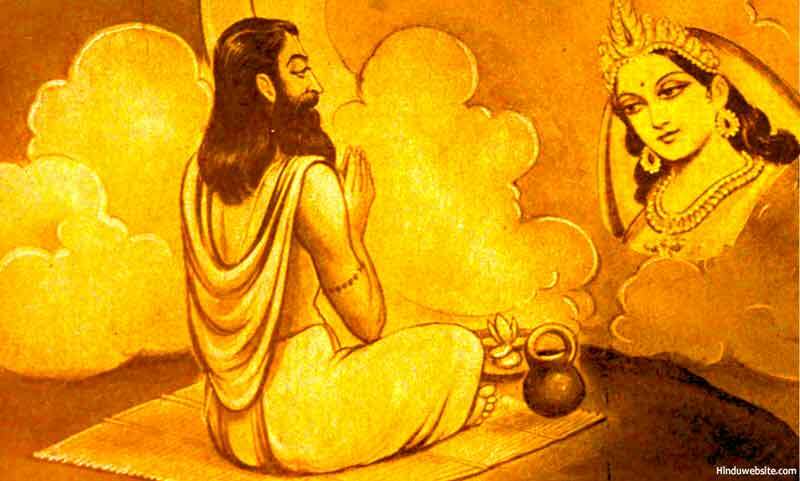 In terms of knowledge, the Upanishad does not add much, but it conveys the symbolic significance of various characters associated with his incarnation. the Upanishad also explains how various entities and divinities manifested in the life of Krishna. The Upanishad is devotional rather than philosophical in nature, which is characteristic of many Upanishads. The following is an original translation of the Krishna Upanishad by P.R. Ramachander. Hope it will help you to understand the meaning and significance the incarnation of Lord Krishna and the various aspects of his life - Jayaram V .
During the time of incarnation of the Lord as Krishna, Gokula became the forest heaven. Those who had done penance earlier became trees in that forest. Characters like miserliness and anger became Asuras. The Kali period which was coming was postponed till the reincarnation period was over. That Hari who was very pretty reincarnated himself as a Gopa Boy. His playful nature (play with the world) was an unknowable secret. Because of that the world was enchanted. Upanishads and portions of Vedas came in the form of 16108 maidens. The "mercy" was born as mother Rohini and the “earth mother” was born as Sathya Bhama. “Humility” was born as Krishna’s friend Sudhama. “Control of senses” was born as Sage Udhawa and “Truth” was born as Sage Akroora. The broken curd pots became to Krishna the ocean of milk so that he can play with it. This reincarnation was meant to destroy his enemies and to protect good people. The sword in the hand of Krishna was the God of destruction, the Maheswara himself. Sage Kasyapa was born as the mortar in Yasodha’s house and The God mother Adithi became the rope which tied Krishna to the mortar. Kali who destroys all enemies was the mace. The bow called Saranga was the illusion of the God. The harvest season of Sarad became the meals in his house. The lotus he held playfully was the seed for the world. Though the world was not different from all these, it appeared as if it was different. Similarly God himself did not have any differences. And the Vaikunta of those people who live in heaven was brought down to the world. The people who have understood this truly would get the result of their good deeds. They would get themselves released from the ties of the body and attain salvation. Here ends the Krishnopanishad, as contained in the Atharva-Veda.